St Mirren: Showing the way forward for Scottish Football? Introducing the newest opinion columnist here on Hit The Byline: Ewan McQueen. Have a read below at Ewan’s first piece, as he asks if St Mirren could be a leading light for the SPL. It cannot be denied that Scottish football is facing a crisis and has been for some time. Fans are drifting away, the quality of players on show and the standard of play in general has considerably decreased in the last few years. Needless to say, once again our national team won’t be at a major finals this summer either. However, amidst the darkness shines one beaming light. 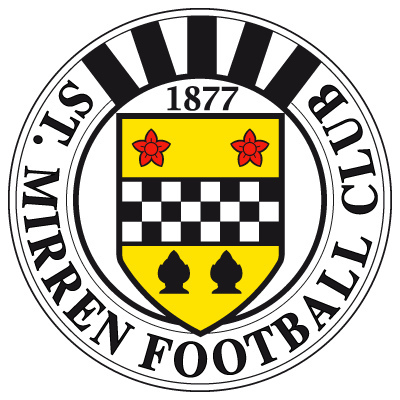 St Mirren football club. No, you’re not dreaming, you have just read that. This season for me, the usually unfashionable Paisley side have led the way in trying to kick and drag Scottish football into a new way of playing and thinking. Despite sitting 8th in the Scottish Premier League, I have been thoroughly impressed with how Danny Lennon’s side have gone about their business this season. Come May, I wouldn’t be surprised to see the Saints sitting in the top six of the SPL. And how will they achieve this? Simple, by sticking to the easy on the eye football that’s been a joy to watch for football fans across the board. The attacking style has clearly found favour with the St Mirren faithful, but has also won plaudits from fans from all corners of Scottish football. When Danny Lennon was appointed St Mirren manager before the start of last season, many eyebrows were raised as he had only ever managed Cowdenbeath in the lower leagues and many questioned whether he could make the step up to Scotland’s elite division. That said, he had led the Blue Brazil to successive promotions, and with St Mirren having stagnated somewhat under Gus Macpherson, some saw it as a fresh and bold appointment. But in his first season (2010/11), Lennon struggled and just as under Macpherson, the Saints once again found themselves in the relegation mire, with only Hamilton saving them from a return to the First Division. Last season, Lennon won just 8 games. This season in only 22 he has already won 6 and that number is unlucky not to be significantly higher. So what has changed? To put it simply, last season Lennon didn’t have the quality of players to allow him to play slick, attractive football. Now, having made some shrewd summer signings, Lennon’s original vision of where he wanted to take the Paisley club is starting to become a reality. Although there have been inevitable disappointments along the way, Lennon has started to dramatically reform St Mirren during 2011/12, and all of Scottish football could learn something from his team. However, it is has been very pleasing to watch. Along with Kilmarnock and to a certain extent Motherwell, it’s good that teams in Scottish football’s top league attempt to play ‘The Beautiful Game’ the way it was intended to be played. But for me there are other aspects of St Mirren that make them the so-called leaders of this small ‘revolution’. As I pointed out before, in the summer Lennon made some excellent signings that took me and many other Scottish football observers by surprise. Lennon blended the mix of youth and experience perfectly. He signed experienced former Scottish internationalists Steven Thompson and Gary Teale, whilst picking up promising youngsters Paul McGowan and Nigel Hasselbaink in other pieces of good business. What Lennon also did, was get rid of players that clearly weren’t going to fit into his new vision for the club such as club captain John Potter and strikers Craig Dargo and Michael Higdon. Ruthless and brave, yes, but he has been proved right in doing so. As well as this, Lennon brought through one of the hottest young talents in Scottish football, Kenny McLean. Along with Paul McGowan, McLean has terrorised defences with marvelous trickery and creativity. Both are now said to be on Craig Levein’s Scotland shortlist and in my mind that is well deserved. Let’s not forget that McLean and McGowan are what you term in Scotland “wee men”. They could be seen as the Xavi and Iniesta of the Buddies, by some at least. Now before you say the men in white coats should be coming for me, I’m not saying they are as good as the Spanish duo; merely more managers should be giving young players with the ability to out-fox defences rather than just lumping it to a 6ft 4 targetman all the time. Only then in my view, can Scotland start to have a bright future. Let’s not forget Danny Lennon is a young manager, at the age of just 41. Experience can be so vital in the game, I won’t deny that (Lennon himself made a very good move by appointing 61 year old Tommy Craig as his number 2). But the SPL was beginning to stagnate under the constant revolving door of management opportunities for outdated and exhausted managers like Gus McPherson, Craig Brown and Jim Jefferies to name but a few. That raw energy of young managers can also help players who take that out onto the pitch. That has happened this season with Lennon, who always promotes a positive message and through the aforementioned McGowan and McLean plus other such as Aaron Mooy and Jim Goodwin (also both his signings), St Mirren are a real threat to any defence in the SPL, as the current Scottish champions have found out the hard way. It would be criminal not to mention the Saints superb team goal at Ibrox, where despite being 1-0 behind in the last minute, they stuck to their passing principles right from the goalkeeper Samson to the striker Thompson – where the rewards were justly reaped. Samson started the move and after a couple more passes it was moved out to David Van Zanten on the right wing who crossed for Steven Thompson who swept home against his former club. It’s well worth a watch if you haven’t done so already. So I say, let’s hear it for St Mirren and their new found philosophy. Long may it continue and I hope it spreads throughout Scotland. In a time of constant re-invention of the Scottish game, the teams in the top flight could do a lot worse than take a leaf out of the Buddies’ book. Got an opinion on the article above? Let us know by leaving a comment below. Worth mentioning that Mooy is only 20-21 Jeroen Tesselaar is 22-23 and Carey is 22-23. The core of the team is young and if Saints can keep those players together it will be a very enjoyable few years for the Buddies! Previous PostPrevious Have Celtic signed the wrong Bangura? Next PostNext Have Rangers turned the corner after their Old Firm blues?